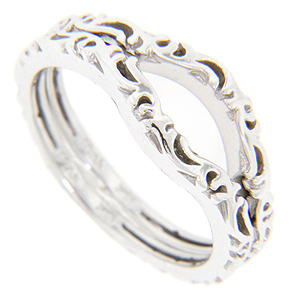 These 14K white gold curved wedding bands feature a flowing polished design worked in relief. Each band measures 3.6mm in width including the curve. The bands are photographed here with R1495 (sold separately). 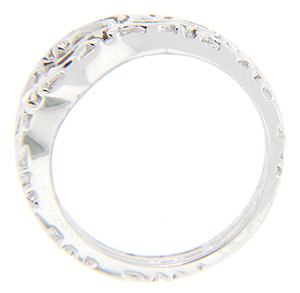 These rings are the curved version of stackable WB1708. Size: 7. We can re-size. 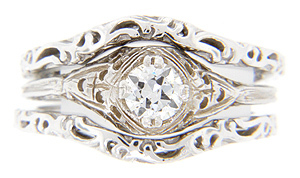 The rings can be ordered in white gold, yellow gold or platinum. Cost varies depending on material. The bands are frequently purchased as a set for $550.00 (as pictured here in white gold) but they are also available individually.